Okay enough about my cover....scroll on down for the teaser! He smiles as though he's humoring me but I can tell he wants this. He wants to open himself up to me. And the more he talks, the easier it is to picture it—my life with him. He's good and kind and he loves me. I know that he would do anything for me, but I fear he may be right—because as easy as it is to picture being happy with him, I know that it's just as likely to end in heartbreak. Especially now that my heart has been changed and I'm not really sure where he fits any more. But it is still nice, being here with him right now under the stars. Hi Kelsey! I'm so thrilled that you love my stories! 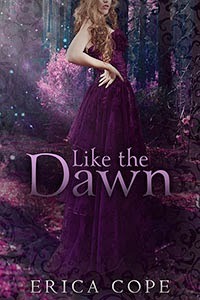 While I haven't pinpointed an exact date for Like the Dawn, it WILL be released in May. I hope to announce the release date soon though!